You probably think of yourself as a kind and thoughtful individual. Someone who cares, someone who is considerate, someone who displays gratitude. Maybe you're someone like Charles Plumb. Charles Plumb was sitting in a restaurant in Kansas City enjoying a meal with his wife. Two tables away there was a man who kept looking over at him. Charles didn’t recognise the stranger but the man kept staring. After a few minutes the man stood up and walked over to Plumb's table. He looked down sternly at Charles, pointed his finger in his face and said, "You’re Plumb." Still none the wiser, Charles Plumb looked up. "Yes sir, I'm Plumb," he replied. "You flew jet fighters in Vietnam," the man continued. "You were on the aircraft carrier Kitty Hawk. You were shot down. You parachuted into enemy hands and you spent six years as a prisoner of war." Plumb was completely taken aback. It was all true, every single word. Charles Plumb had been a navy jet pilot in the US air force during the Vietnam war. On his seventy-fifth combat mission, just south of Hanoi, the North Vietnamese shot down his aircraft and he was captured in enemy territory. He was tortured and spent the next six years as a prisoner of war before being repatriated in 1973. “How in the world did you know all that?” Plumb asked the stranger. If I asked you that question right now would you know how to answer? Are you aware of the people around you, at work, at home and at play, whose role it is that enables you to do yours? How well do you know these people, your colleagues and teammates? How do you interact with them? When Plumb met the stranger in the restaurant, the man who so many years ago had packed his parachute, he was completely taken aback. "I packed your parachute," said the man. The best Plumb could do was to stagger to his feet and reach out a grateful hand which the man shook warmly. Plumb was speechless but the man came up with just the right line. "I guess it worked!" he said. Plumb was amazed and grateful, but when he came home from the restaurant he was troubled and couldn't sleep that night. He kept thinking about the man who had packed his parachute. Despite trawling his memories, searching the deepest crevices of his mind, he could not remember him. "I kept wondering what he had looked like in a Navy uniform: a dixie cup hat, a bib in the back, and bell-bottom trousers. I wonder how many times I might have passed him on board that ship and not even said 'Good morning, how are you?' because, you see, I was a fighter pilot and he was . . . just a sailor." This man, whose actions had been so integral to Plumb's survival, did not register a flicker of recollection. Plumb considered the many hours the man must have worked on the long wooden table in the bowels of the ship. How many hours did he weave the shrouds and fold the silks of each parachute? And all the while the beneficiaries, the pilots, never gave a second thought to these sailors. Never even said hello, let alone said thanks. Plumb's realisation was that the anonymous sailors who packed the parachutes held the pilots' lives in their hands, and yet the pilots never gave these sailors a second thought. Captain Plumb gives presentations on the lessons he learned from his experiences. He talks about his time as a POW, referring to his survival as the triumph of an ordinary man. I said at the start that you probably consider yourself to be a kind and considerate person. I've no doubt you are. But just like Captain Charles Plumb, even the kindest among us probably take others for granted. We're very probably forgetting to acknowledge someone that helps us on our way. And very often, that person is the one who helps us the most. 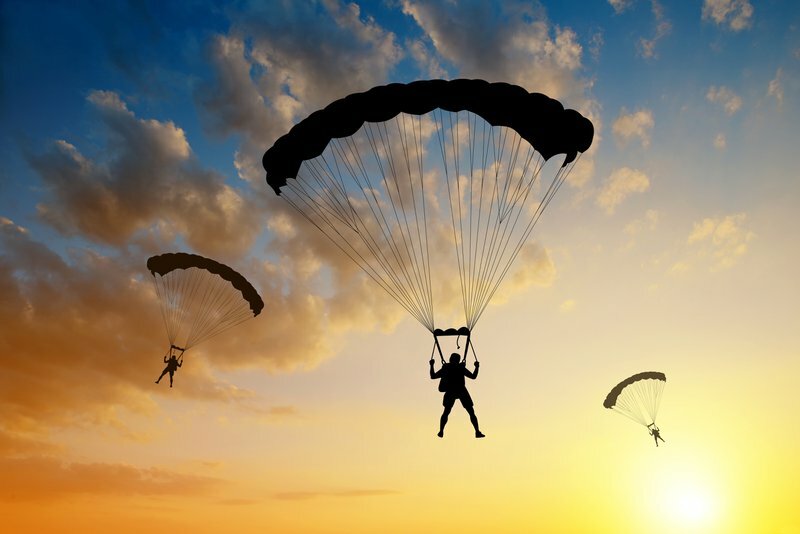 What I want to encourage you to do is to take the time to think about who packs your parachute? . . . Who helps you through your work day life? . . . Physically, mentally, emotionally, spiritually? . . . Think about who helps you. How do people feel when you thank them? How do they respond when you recognise their efforts? How do they react when you appreciate their actions? People tend to feel better when their efforts are recognised. Their self esteem can lift when their actions are appreciated. Often you can visibly see people lift when you take the time to show gratitude for what they do. The quick 'cheers mate' is fine and has its place of course, but I'm really talking about the specific thank you. The overt thank you. The thank you that shows you've thought about things and taken consideration. The thank you that has cost you something to deliver, be that time, effort or even money. Can you remember the last time you were thanked in this way? 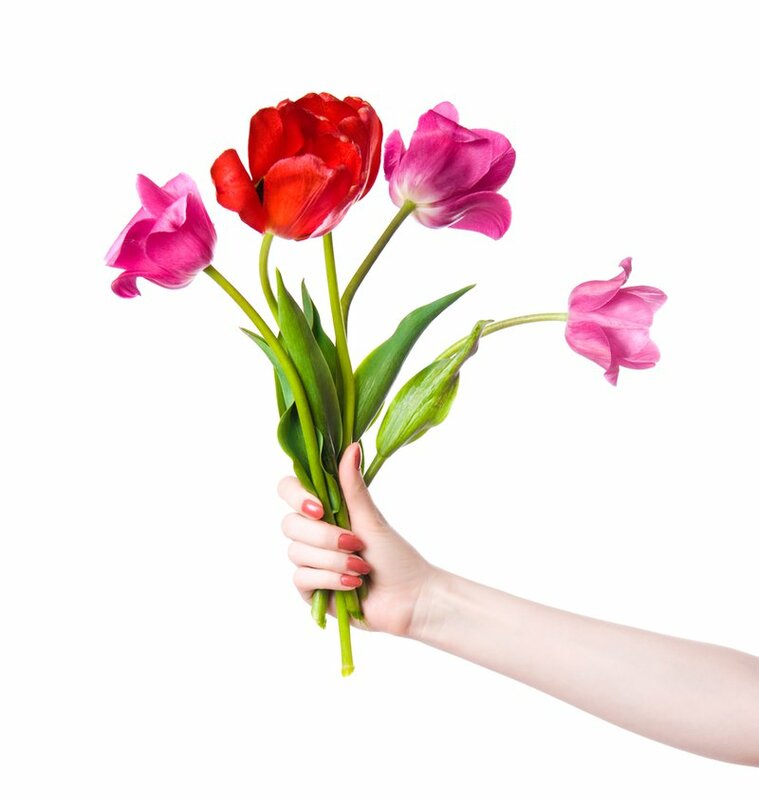 When somebody bought you flowers? When somebody wrote you a personal card? When somebody called you into their office with the sole purpose of saying thank you for that thing you did, and telling you how appreciated it was? If you can recall a time like that then the odds are that you found it uplifting and inspiring. So why not take the time to display that level of gratitude to someone today? Or is it someone who you see on a much less frequent basis? a member of your club? Take some time and think about how much they do for you that you take for granted. Sure, it may be part of their job description but you know that the reason they've popped into your mind just now is because that, just by fulfilling their role, they are really helping you. The way that they're doing it makes them stand out even more. In the 1980s there was a long running advertising campaign in the UK for Cadbury's Roses, a selection box of chocolates. In each advert a favour was repaid by the gift of chocolate. 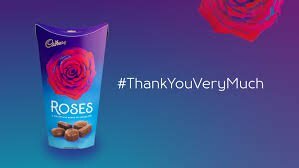 Whether it was thanking grandad for fixing the bike tyres, thanking the kids for washing the car, thanking a friend for feeding the William the goldfish (yeah, that was the line); Cadbury's chocolate Roses were the way to do it. A box of Roses became a byword for thanking someone. The taglines were: 'Roses, The Sweetest Way To Say Thank You', 'Say It With Roses' and of course 'Thank You Very Much'. How would you like to say it? Many people think about how they themselves would like to be thanked and then act accordingly. But I'd like you to do the exact opposite. I want you to think about the person you're going to thank, and ask yourself what they would like. How would they like to be recognised? Recently I helped someone out and as a thanks (completely unexpected) they sent me an Amazon digital gift card. For me this was absolutely ideal and much appreciated, but that particular token of gratitude wouldn't be good for everyone. Take my father for example. A digital show of thanks would be lost on him because he appreciates things a little more in the old fashioned way. We always make sure that he gets a handmade thank you card. After he has bought a family member a birthday gift, or when we've received one of the random coupons he cuts out of the newspaper and sends to us, we make sure that something tangible arrives in the post for him. Something that he can hold in his hand. Why? Because that's what he likes. So what about the person who packs your parachute? Are they going to be grateful for a box of chocolates? A Google Play or iTunes voucher? A BlackBerry World voucher (only joking!!) Or do you know that they would like something else? How are you going to show them your gratitude? How will you thank them? If you do decide to up the ante in the gratitude stakes let me know by leaving a comment below. Tell me who you thanked, why you wanted to and how you did it. The odd thing about increasing your gratitude is that you benefit more too. It might sound strange but by increasing the amount of thanks that you show to others, the better it is for you. That's not just some wishy washy, let's all be nice to each other, wishful thinking. Developing an attitude of gratitude is a certified bona fide double whammy - feeling gratitude and showing gratitude towards others actually makes you feel good and does you good too. A few years ago, the respected think tank The New Economics Foundation, developed the Five Ways to Wellbeing - a set of evidence-based actions which have been shown to improve people’s wellbeing. The five ways are: Connect, Be Active, Take Notice, Keep Learning and Give. By taking care to incorporate these simple activities in our everyday lives we improve our wellbeing. And in a serendipitous piece of luck, expressing gratitude fits beautifully into the Five Ways To Wellbeing. That’s a triple whammy of wellbeing for yourself in one fell swoop. And that's on top of making the other person feel acknowledged, appreciated and valued. In the spirit of gratitude I'd like to offer you a small gift. My present to you is a pair of questions. Completely free of charge. Who is packing my parachute? Feel free to leave a comment below and let me know who's been packing your parachute and how you said thank you! Or who thanked you for your efforts and how they did it. I know from feedback on my wellbeing training course that people do this more often than is known and in the most thoughtful ways. If you liked this blog post you'll love the brilliant ideas in Iain's online courses. By an amazing coincidence his Time Management course has just launched on Udemy. You can get it using this reduced price coupon and watch it any time, any place and at your own pace.